The key challenge on this is to find a clear one-to-many relationship if looking from top to down. By looking from top to bottom look at the next level always as if it is a black box. By opening the black box Business there are System of Systems to be found and their interconnections. 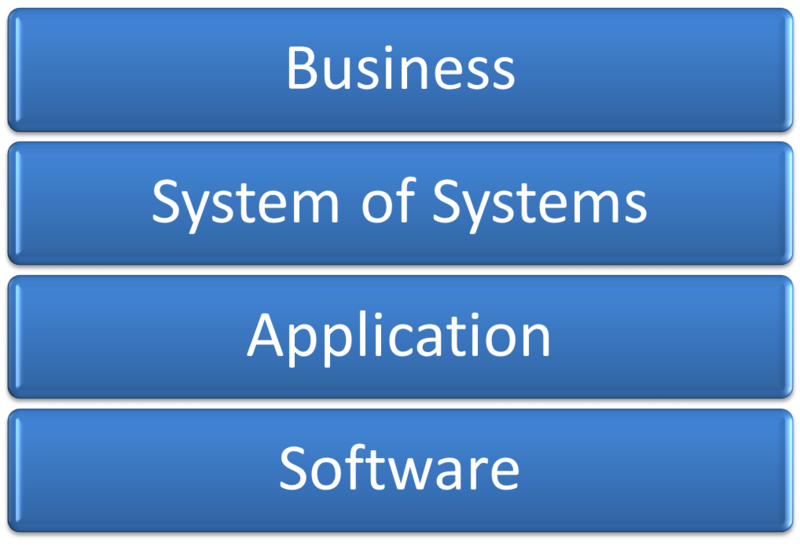 Each System of Systems contains Applications and their interconnections. 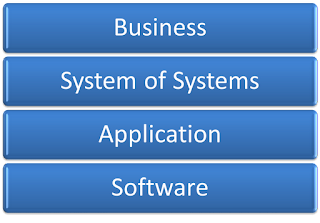 Each Application contains Software elements and the interconnections between them. 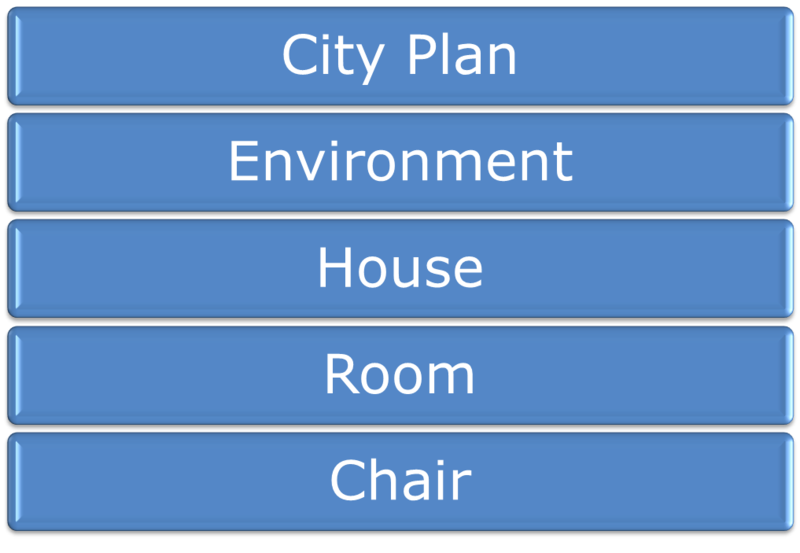 Getting the structure in a way that is is unambiguous is a challenge in its own, because the lower level elements might be used on more than one of the upper level elements. 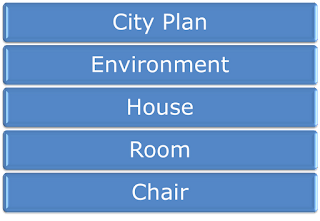 I usually repeat the work from top to bottom and bottom to top till I have a clear one-to-many mapping from top-to-down. The elements which I can not map unambiguous give a good hint for a dysfunctional setup, because there is most likely no clear owner. And shared responsibilities are a challenge in itself which I touch in other posts as well.